Have you seen the Go! 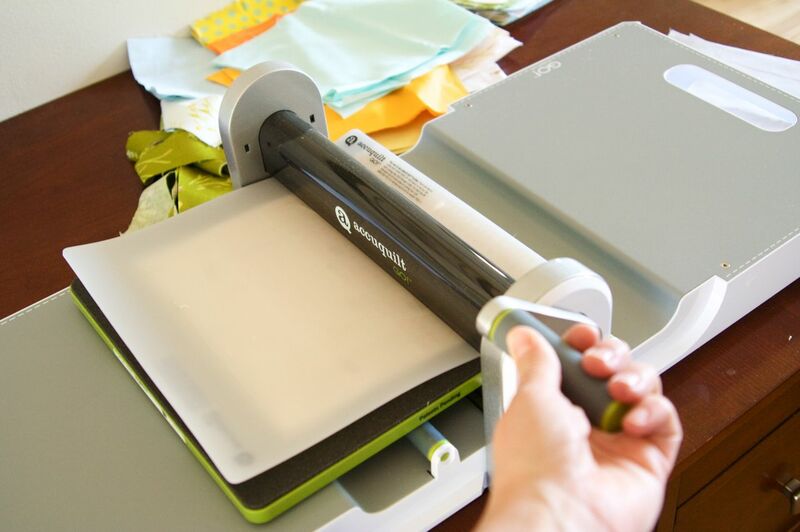 Fabric Cutter? It's making quite a showing around blogland, so I was thrilled to get my hands on it and give it a go. The way it works is you run dies through the machine, they come in all shapes...almost anything you could hope for, and almost like magic it cuts your fabric for you. I decided to really give the tumbler die a try. I love tumbler quilts, but am lazy about cutting them out (you can see a great tumbler quilt on the box). 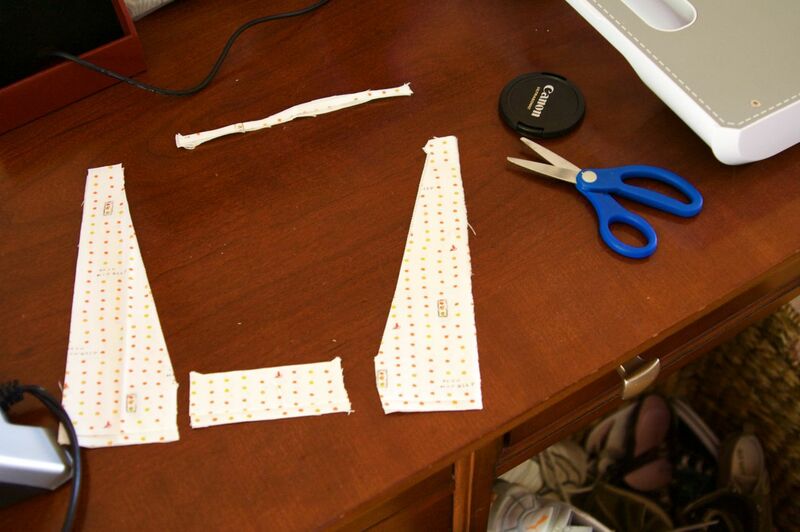 I find that it easily cuts 4 pieces of fabric at once. You stack the fabric over the die (for this particular die, I use pieces of fabric that are about 8 inches square). 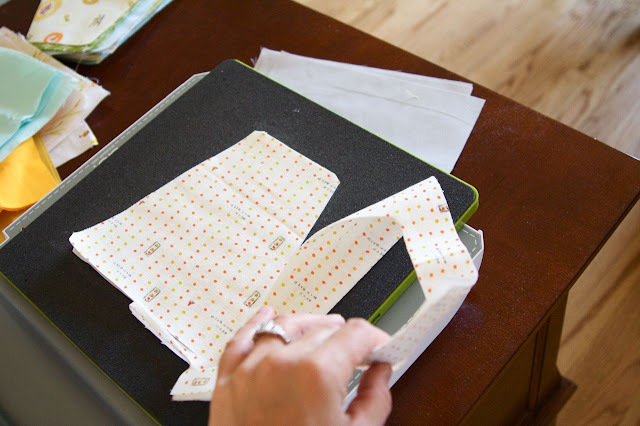 Then you place a cutting mat over the fabric (you will have a fabric sandwich). Roll the "sandwich" (die, fabric, mat) through the machine (my kids LOVE to help with this part). and just like that, you have the perfect tumbler block, 4 of them actually. I have heard concern about the fabric wastage, I don't like to waste fabric either, so my solution is to cut the pieces as shown above. All I will throw away is the top tiny piece, the rest will go to my scrap bin. 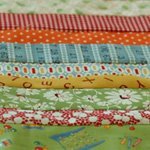 I quilt most often using scraps, so this works perfect for me. this is what I am working on. A rabbits and race-cars quilt. I'm excited, I am debating on how large to make it. I think it will be a smaller lap size for my 3 year old, maybe for Christmas. I'm sure he won't be thrilled about it, but I don't think I want to give this one away. 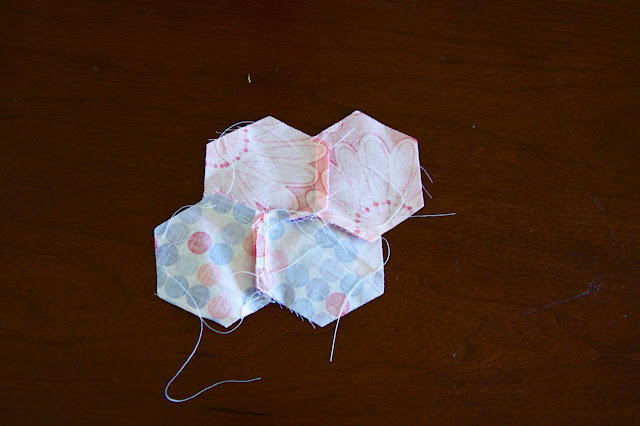 I also tried out the hexagon cutter and tried piecing them with a machine, which can be tricky with those 3 seams coming together...but I found it to be much easier than I thought. There are lots of strings, but those can easily be snipped. I have really had fun with this machine, look for a giveaway coming soon. You can have one too! Awesome! 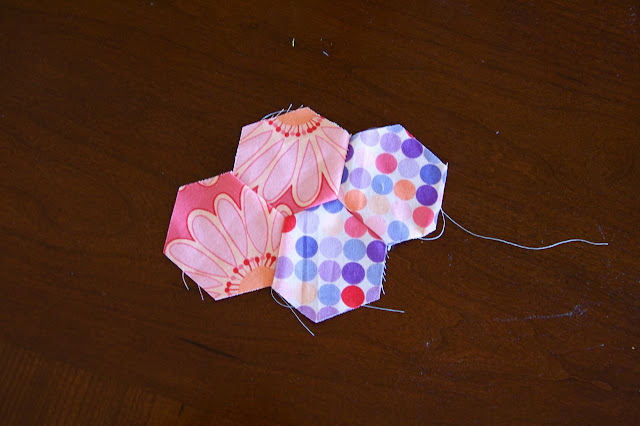 I remember using the Sizzix to die cut paper shapes years ago and I always thought it would be a perfect way to cut quilt pieces if only it were larger. Looks like someone else thought of it too! Fun! How bizarre! i can't really see how it works...! Thank you! Best pictures I've seen of how the cutter actually works. Well you'e got me sold, I hate cutting out for a quilt! And I'm loving your tumbler quilt already!!!! oh how great it would be to have one of these! The more I see them the more I want one! What a fun new toy! I hope you get lots of enjoyment out of it!! Wow, you finally did it. I'm getting a bit tired of redoing strips due to elbows. I just can't figure it out! any suggestions? Love the start to your tumbler quilt. It's so cute! Oh Yes! I want one so badly, and funny just because I want to do a tumbler quilt! No one is bringing them into New Zealand, sadly, so will have to try and win one :) I do like the idea of the Hexagons though, hmmm such a good way to do them. where is the blade? does it cut strips? 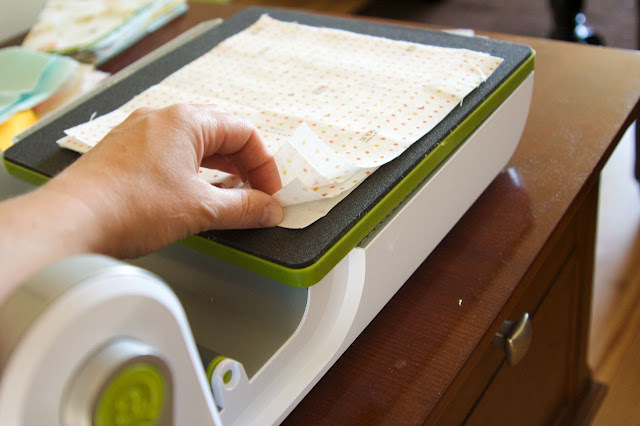 These look so wonderful- I'm a bit slap-dash with the rotary cutter and drew blood recently! 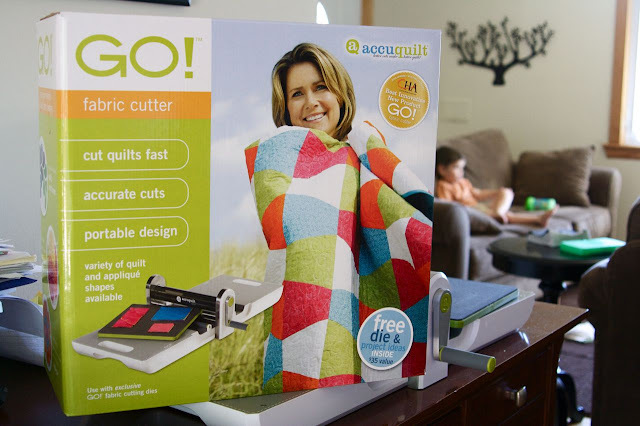 The tumbler quilt looks so fun! I can't wait to see it finished. I'm so glad you got the GO! I'll be watching for more reviews from you. Have fun with your new friend! 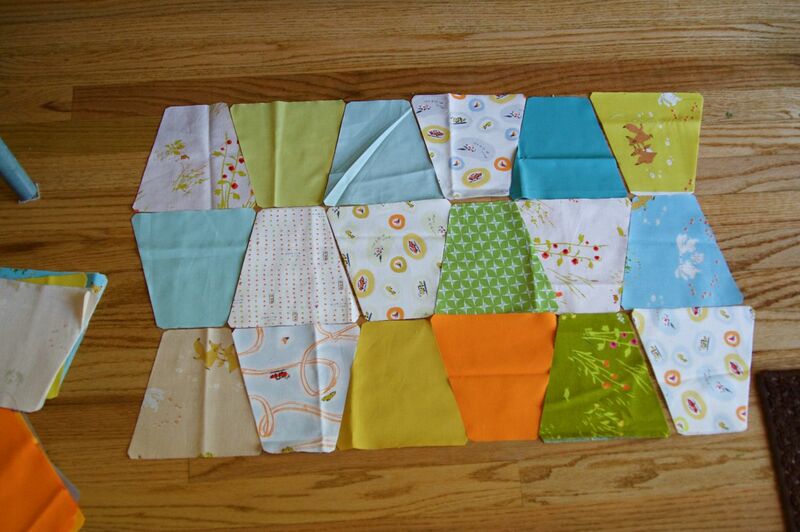 I am so intimidated by the cutting that I haven't made anything but super easy plain old square quilts. I'm so glad you chose the tumbler quilt. I've been aching to make one. I've tried all over bloggy land to win a Go with no luck. I have just about decided that I have to make my own tumbler template. But maybe I still have a chance to win a Go. I love the Go! my favorite Die is the circle die. It might be bc its the only one I own, other than the one that comes with the machine. But yeh, its awesome. oh, you lucky girl, you! 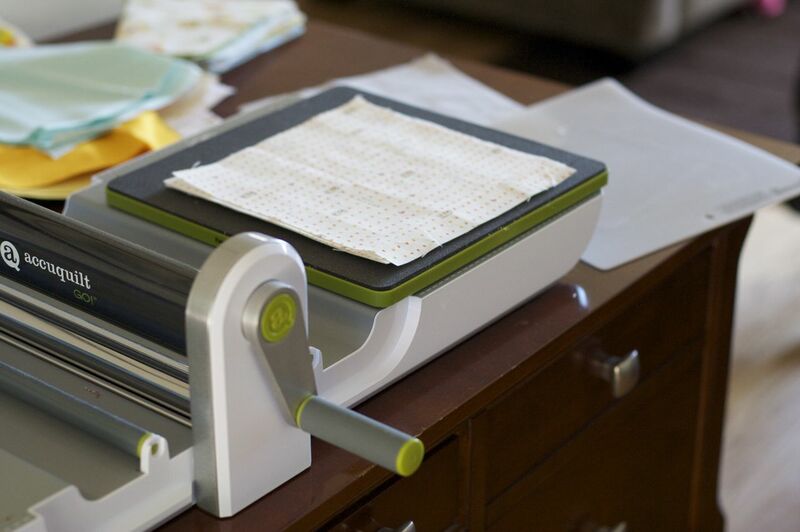 i sooooooo want a go cutter. i got the chance to try one out early this summer and it was slick, slick, slick! i really wish i would have had one when i made my quilt with 1700+ 2.5" squares. it would have been VERY helpful! Thanks for the quick tour of the Go cutter. I'm debating if I want this for Christmas or an iPad. Still can't decide. This looks like a great tool! I like the tumbler pattern, everything except cutting out the shapes... that's a big job! Do you have a choice of different sizes for the tumblers? The tumblers look great so far! I can't wait to see what you choose to use for binding. I think this might be one of those quilts that the whole look can be changed based on binding options. Good luck! Your blog is new to me. Love it! As for the cutter, I didn't know I needed one of those until I saw today. I will keep my eyes peeled for that giveaway. Glad that you love your Go! 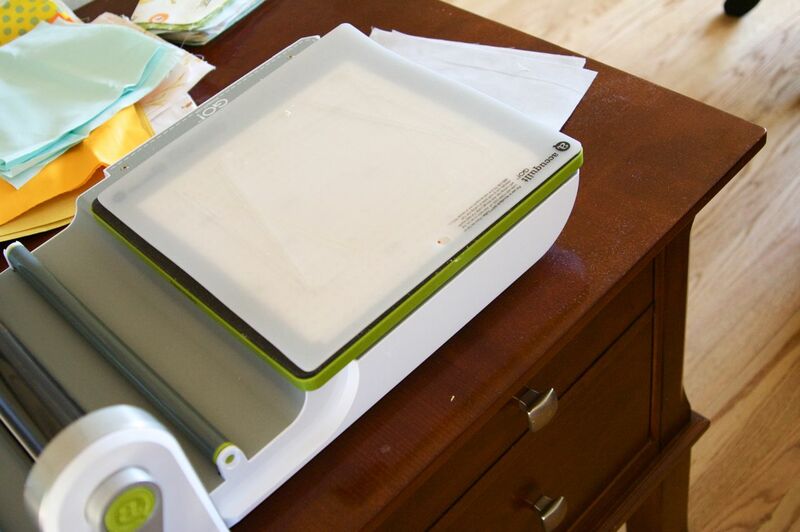 I have a Sizzix to use for scrapbooking. I cant imagine how fun this would be to quilt with!!! I would love to have the chance to try out one of these Go cutters! Of course, I am a teacher and am very familiar with die cutting machines. In fact, I borrowed a very specific die (for a school die cutter) from a friend that I plan to use to cut fabric for a special project. I can't wait to get my project together! Thanks for showing me how this hot new machine works. It was great... but left me wondering how I'm going to get my hands on one while I'm saving up for a sewing machine at the same time! Super pictures of your demo on the GO! Love it. Those hexagons looked great also. I have not tried sewing them on the machine. I will have to try that. Thanks for the idea. Can't wait for your give away. Looking forward your giveaway! I am glad you are having fun! for someone with rheumatoid arthritis, this is a DREAM !! WoW!